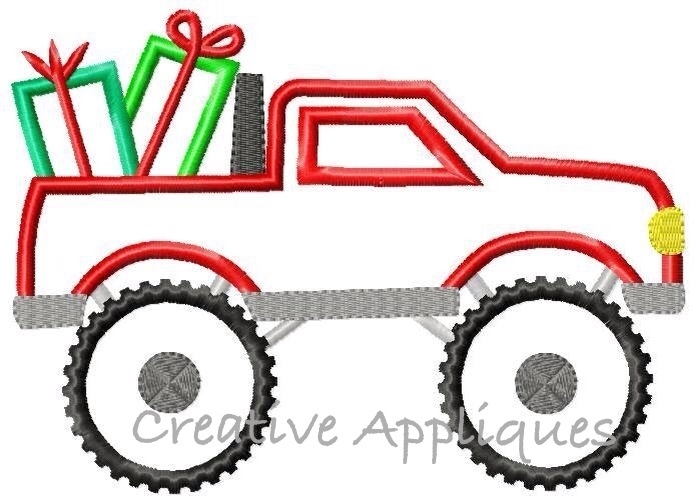 Monster truck carrying gifts is perfect for both Christmas as well as birthdays! 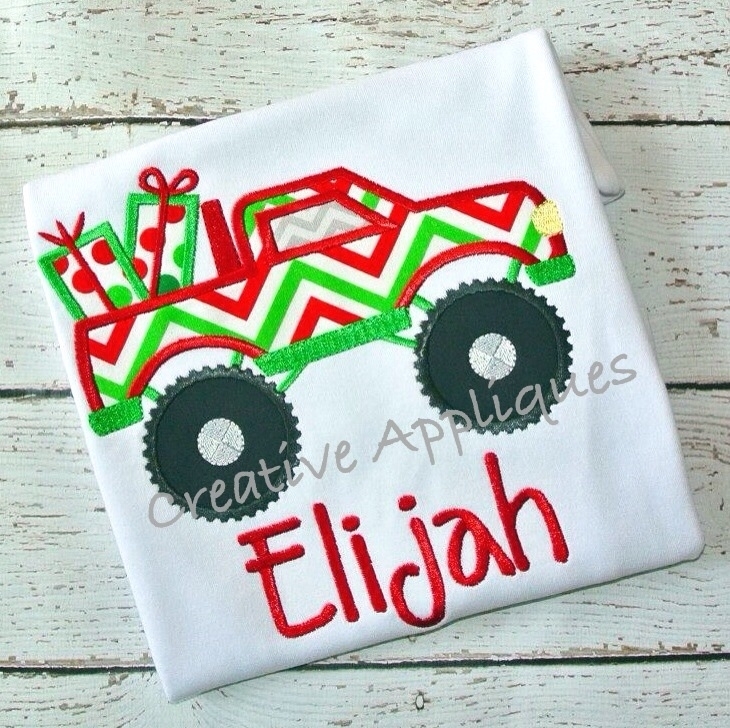 (No fonts are included with design). She comes in 4 sizes including 8”x8” (Durkee/Fast Frame users). 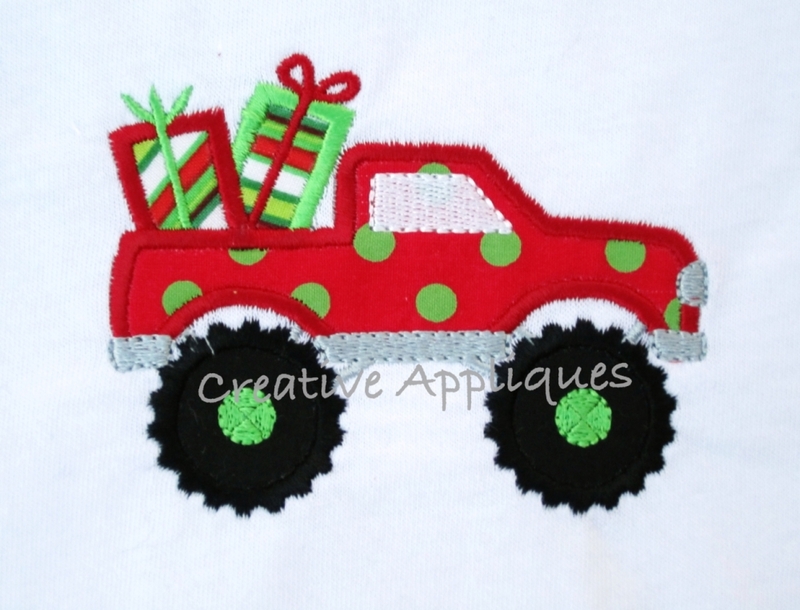 Monster Truck New Years Applique - 4 Sizes!